I’m offering a Gescha 1/50 Caterpillar 549 Pipe Layer. The item is in very good condition, the paint is vibrant. All the mechanisms work. There a some very minute chips on the item, except on the right top of the radiator. Please examine all the photos. I have owned this item since I was a child, and I’m selling part of my collection. Please contact me if you have any questions. Material: Alloy. Scale: 1:50. -Due to the different display and different light, the picture may not reflect the actual color of the item. Color:As Shown Of Picture. A great gift to your children/friend/family. If you inquire, we will gladly assist you. Limited to six models per box. Limited to 48 models per box. We are responsible for our item until you receive it and you are 100% satisfied with it. If not, we sure hope you gives us chance to prove ourselves to you. This 1:64 scale material transporter is ideal for the collector or the adventure seeking youngster. Working parts and authentic detailing set the standard for form and function. Whether deployed on the display shelf or on the job, this item is built to handle the workload. This is a nice used HO Scale 966K XE Wheel Loader. Very nice 1:50 norscot cat dealer black service truck. PayPal only please. Buyer pays actual shipping I do combine shipping so please check out my other auctions thanks!! 1/87 Scale 55246 Caterpillar Cat CS-56 Vibratory Soil Compactor Diecast Model Toys. Scale: 1/87. Color:as picture. 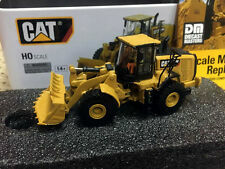 Model: China Liugong Dressta TD-40E Machinery Bulldozer DieCast Toy Model. Scale: 1:50. Materials: Die cast,ABS,Rubber. You may also like. 4, Substantial weight is the best original engineering vehicle which is suitable for collection or gift with high quality! Diecast KAIDIWEI LT1050B?. 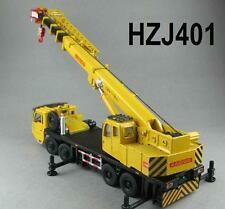 Construction crane 1/50 or 1/55 boom extended to 95cm. AS SHOWN IN THE PHOTO,100% COMPLETE, boom can be extended to about 95cm long! size:about 24cm long,5cm wide.this is a toy,not a very high quality model for collector! Trending at C $39.43eBay determines this price through a machine-learned model of the product's sale prices within the last 90 days. Material:Alloy Plastic. Product size: 20 x 7 x 17 cm. You'd better take a video or photos when open it. the standard. we will try our best to resolve any issue. First Gear Komatsu Gd655 Motor Grader With V Plow Iowa Orange 59-3085. Condition is New. Shipped with UPS Ground. 1/48 CAT 988 Wheel Loader. 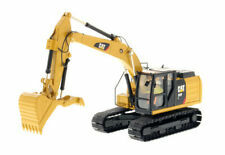 "Our 988 is a precise 1:48 scale model of the original that was produced by Caterpillar during the 1960’s. Many of the features found in the real machine are now details in our die-cast classic. We do not responsible for any delay. 【Model Number】 85943. Suitable for gifts or personal collections. You may also like. MARKING AS USED DUE TO END OF BOX TORN AND WEAR TO AREAS OF PAINT THAT WERE TOUCHING BOX AS IT MOVED INSIDE OF BOX DUE TO THE END MISSING, PAINT WEAR IS MINOR AND LOCALIZED TO THE HIGH POINTS SEE PICS. Manufactuer : ROS. We do not responsible for any delay. Conrad Cat D9G Track-Type Tractor . Condition is New. This is a good condition die-cast model that was previously on display. First Gear Komatsu GD655 Motor Grader With V Plow 50-3063. Condition is New. Shipped with UPS Ground. 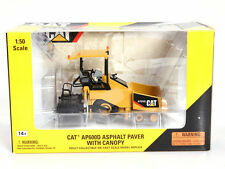 Joal Cat Caterpillar D5C Tractor Die cast 1:50 #174. Condition is New. Full Functionality: This 15-channel RC Digger gives you the most real experience from a "toy". It's so strong for such a compact size that most people don't classify it as a "toy". Do your kids love playing RC. 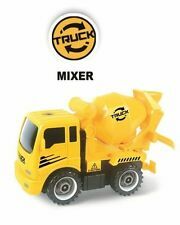 Diecast construction equipment provides you with small vehicles that are designed to match many different types of construction equipment. There are numerous types of vehicles, from cement mixers and cranes to excavators and loaders. These vehicles are available from a variety of brands, including Conrad, First Gear, and Tonka. What are the different types of vehicles available? There are a range of vehicles available for you to consider, all of which are tied into construction. The most common of these vehicles are standard construction trucks, such as excavators, road graders, cement mixers, bulldozers, and loaders. Additional types that are available include combines, cranes, dump trucks, lift trucks, trailers, and tractors. These models can be put on display or used in the creation of different construction situations. Which colours are available with these vehicles? 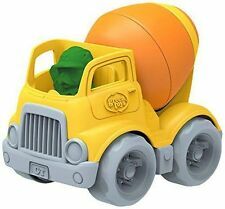 These construction truckss are offered in many unique colours, including orange, red, and yellow. Some of the additional colours you can select from include white, black, grey, green, and gold. Certain vehicles are designated as multi-colour with combinations like black and yellow or blue and yellow. What does the scale of these trucks refer to? When you are in the midst of selecting one of these models, you will notice that they are listed with a certain number to the side, such as 1:20. This indicates the size of the model relative to the size of their real-world counterparts. In most cases, this size is listed in centimeters although it can be displayed in inches. The first number refers to the number of centimeters related to the smaller vehicles while the second number indicates the size of the actual vehicle. In the example shown above, the size of the construction model is set to 1 centimeter for every 20 centimeters of the actual vehicle, providing you with the information you need to determine the size of the model that you are about to choose. What are some features of diecast construction models? 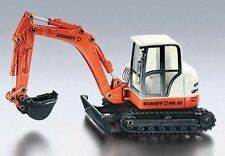 When you are selecting diecast models, you will notice that they can come with unique features depending on the type of construction equipment that you have chosen. Some of the diecast model cranes can lower and rise to imitate their actual functions when being used on a construction site. All models consist of diecast construction, which is a method used to create these models by pouring molten metal into a mold. Given that these trucks are comprised mostly of metal, they are also sturdy and durable. 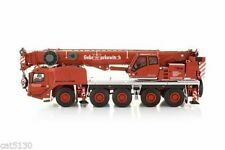 These models, from excavators to diecast dozers, are designed to be very detailed, from the types of tires they are outfitted with to the controls inside the vehicle.